Saw the Palm Pre Plus ads by Verizon at PreCentral. I installed the GMail on my Nokia 5800. I could not remember why it did not work last year when I bought it first. 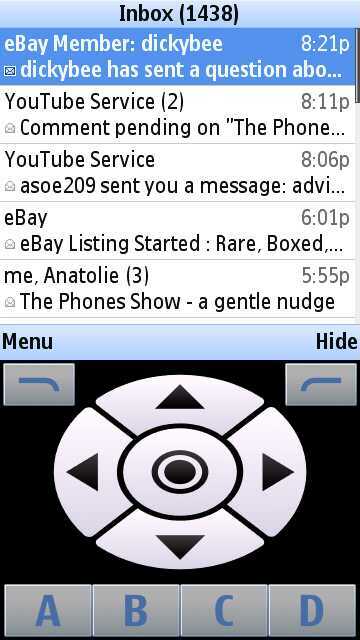 The software on my Nokia 5800 is the same, but the GMail client may have changed. The user interface is kind of funky, but it works. A minor thing, right now it vibrates whenever a new mail arrrives. I also tried to install the Nokia Ovi map (free), but I don’t know how to update my firmware (OS). iPad: funky name cool stuff?